The game between third ranked Libertad (13-5) and fifth ranked Campo Alto (8-10) was the most important one in the last round on Monday night. Libertad was defeated by Campo Alto on the road 52-66. It ended at the same time the six-game winning streak of Libertad. Despite that victory Campo Alto went down to sixth position due to points difference. Libertad at the other side dropped to the fourth place with five games lost. Metropolitan L. top team - Olimpia (18-0) had no problems winning another game. This time they crushed ninth ranked Dep.Internac. (0-18) in Asuncion 103-58. Undefeated Olimpia have an impressive series of eighteen victories in a row. Despite that victory Olimpia went down to second position due to points difference. Dep.Internac. at the other side still keeps top with 18 games lost. The game in Asuncion was also quite interesting. 6th ranked Luqueno (6-12) played at the court of seventh ranked Felix Perez (5-13). Felix Perez defeated Luqueno 76-64 on Monday. Despite that victory Felix Perez went down to eighth position due to points difference. Luqueno lost their third game in a row. They dropped to the seventh place with 12 games lost. 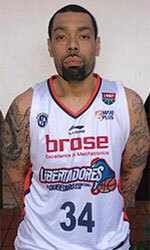 In the last game of round 17 Ciudad Nueva was beaten by Sol de America on the road 78-61. No shocking result in a game when fourth ranked Sol de America (11-7) beat bottom-ranked Ciudad Nueva (4-14) in Asuncion 78-61 on Monday. The victory was the third consecutive win for Sol de America. Despite that victory Sol de America went down to fifth position due to points difference. Loser Ciudad Nueva dropped to the bottom place with 14 games lost. 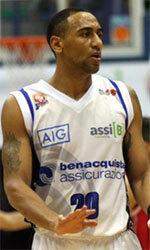 Metropolitan L. top team - Olimpia (18-0) had no problems winning another game. This time they crushed ninth ranked Dep.Internac. (0-18) in Asuncion 103-58. Olimpia have an impressive series of eighteen victories in a row. Despite that victory Olimpia went down to second position due to points difference. Dep.Internac. at the other side still keeps top with 18 games lost.